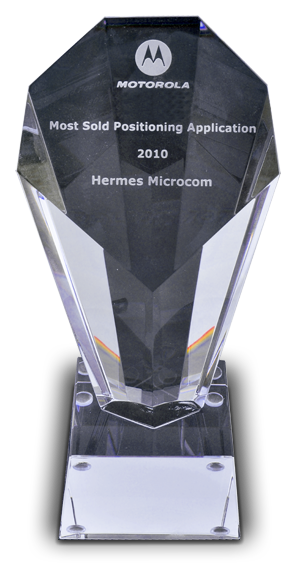 The range of products offered by hermes microcom have been developed since the early Nineties and we have constantly endevoured to provide products of the highest quality while at the same time providing excellent value for money. As early as 1992 we developed the very first GPS enabled fleet management system for analog trunking in the world, which was the first building block on the way to becoming a global player in the field of radio based fleet management systems. In May 2011 at the Motorola Channel Partner conference in Hungary, hermes was presented an award for the most sold GPS Tracking solution Worldwide. The hermesTRX was developed initially for MotoTRBO but has since been enhance to support TETRA systems.